The trusted experts will to keep you safe on the road, It is a long established fact that a reader will be distracted by the BlueStar CarCare. Regularly changing your oil and filter will help the engine work its best..Small particles, sludge and soot, from the inside of the engine can move freely around the system and over time can cause many problems. Oil additives are crucial in maintaining a healthy engine as they neutralise any sludge or sediment on the inside before the old oil is removed. 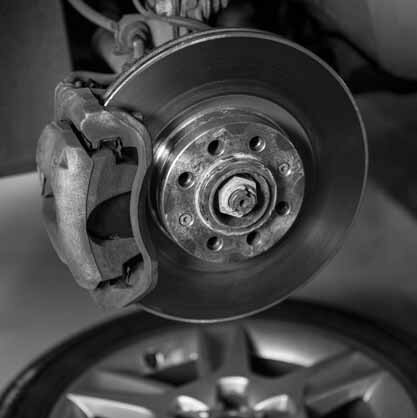 Brake maintenance is crucial to keeping your vehicle operating safely.Brake servicing is removing the wheels and measuring the amount of material left on the brakes, whether your vehicle has brake shoes/drums or if it has brake pads and discs; this will determine if they are in need of a change. 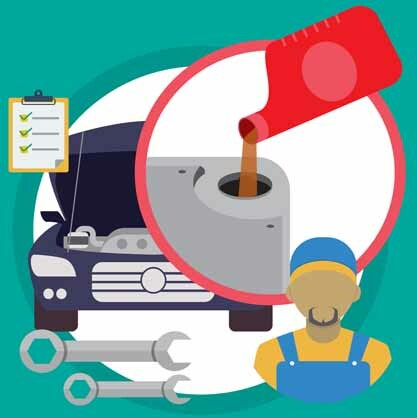 An annual inspection – or biannual depending on the mileage you do – is crucial to ascertain the health of the vehicle; whether it’s a basic inspection or it requires full inspection including a brake check. Whether the anti-freeze is weak/low, or the car’s filters require replacing; servicing is a must for every vehicle owner. Tyres are the only part of the vehicle that are in direct contact with the road; this therefore makes them vitally important. 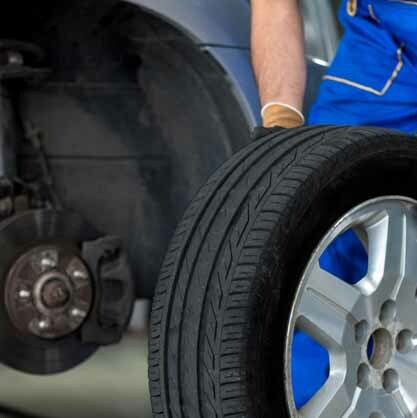 A low amount of tread may effect the stopping distance, Nails, screws and metallic objects are more likely to puncture tyres with lower tread – also if tyres are punctured within the midsection, they are generally repairable and tend to last the life of the tyre. Belts and hoses are a commonly overlooked maintenance item that can often leave you stuck roadside if there is a failure.You engine uses belts to drive accessories such as; Alternator, Water Pump, A/C, Air Pump, Power Steering.On most newer vehicles there is only one belt called the serpentine belt, meaning failure automatically renders all of these items inoperative. 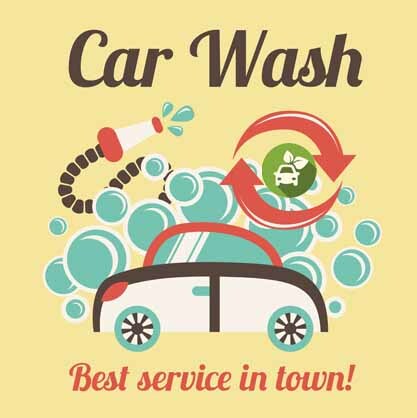 BlueStar Car Care is a family run business in Brunswick. 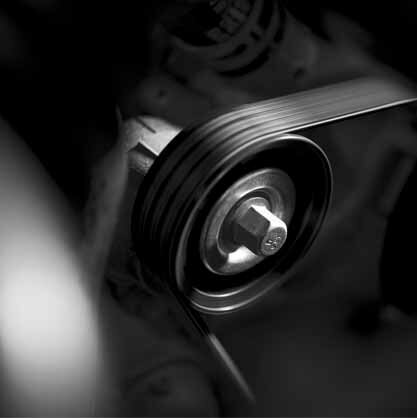 We offer MOTs, Servicing and Repairs for all makes of cars. 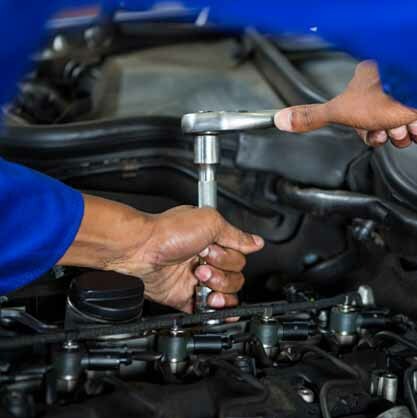 Here at BlueStar Car Care we have a team of mechanics with years of experience to service and repair your car.